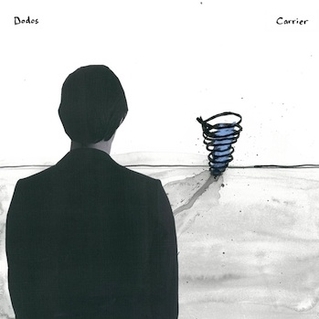 Carrier, the Dodos’ fifth album, is both a reckoning and fresh start. Singer-songwriter Meric Long and drummer Logan Kroeber have primarily functioned as a duo since 2005, but for an all-too-brief moment the Dodos were a trio. It’s in this vibrant, sorrowful, powerfully spare new album that we’re afforded a glimpse of what that could have/should have looked like. After acting as the band’s touring guitarist in 2011, Calgary-based musician Chris Reimer (Women) was invited to become the third member of the Dodos. On Feb. 21, 2012, Reimer, who was just 26, died in his sleep. Carrier is both a celebration and tribute to Reimer’s life and his musical influence, as well as the sound of a band finding its way out of the darkness. Our full interview with Meric Long will be published on Thursday. We’re streaming Carrier for our Canadian audience a week before its release via Dine Alone Records. The album is available for pre-order on iTunes. Go to CBCMusic.ca to listen. Following the dissolution of Women and prior to his tragic death in 2012, guitarist Christopher Reimer quietly joined Dodos– which seemed like an odd, if not impossible, fit. Dodos were a known quantity as an acoustic-and-drums (and loops) two-piece, proving effusive, melodic and spirited in a live setting. Conversely, Women’s turbulent post-punk hovered like a cloud bearing acid rain, as Reimer would often stand completely motionless on stage. 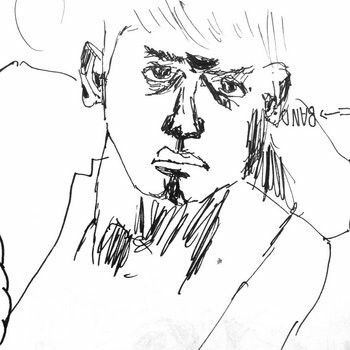 Frontman Meric Long claims that Reimer was a huge influence on Dodos’ new LP, Carrier, and lead single “Confidence” is proof enough. Rather than Long’s typical brassy, open-tuned acoustics, “Confidence” is built on the kind of small, wiry guitar curlicues Reimer would lend to Women’s output. It’s still every bit a Dodos song in the ways that matter the most, though; the melodies are warm and pleasantly rumpled, drummer Logan Kroeber forgoes mundane timekeeping to push and prod Long and in the second half, the two ditch the relative minimalism to hurtle through a breakneck jam of harmonized guitar leads that can be heard as a tribute to a man whose short time with Dodos truly moved them. Listen to the track on SoundCloud. Pre-order Carrier (out 8/27/13 [our late grandfather’s birthday] on PolyVinyl). I am looking forward to seeing and hearing Meric and Logan at Sled Island next week, though it will be bittersweet for me. Chris asked me to come to Sled with him the first couple of years of the festival; I never did. Thought I was too busy at work and thought I couldn’t afford the plane ticket. This year I’ve bought a Festival Discovery Plus Pass. Gonna cram in as much Sled as I can. With/without him. I am sad to hear of Calgary guitarist Chris Reimer’s passing. We just shared a stage on the 8th of February this year where he saved my opening set that night lending me a missing power supply and cable, reassuring me that he was, “happy to help”. He performed solo electric guitar which shined with beauty; I remember feeling like I was in church or in a spiritual ritual hearing bells of cosmic light that filled my soul. Reimer will probably be best remembered as guitarist for the Calgary band Women but I think this set in particular deserves some introspection and meditation – it shines with beauty.